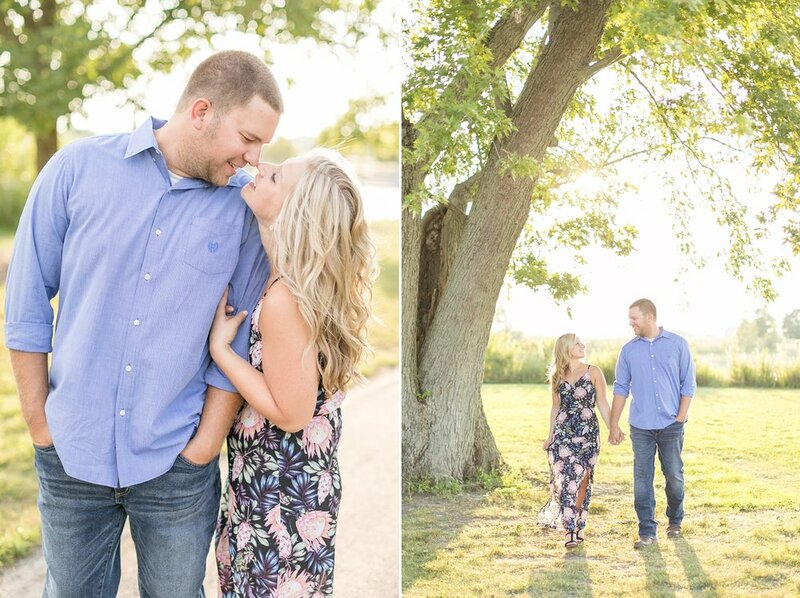 I might not be a summer person by any means (my heart loves the cool and crisp fall, y'all) , but I have been LOVING summer engagement sessions! 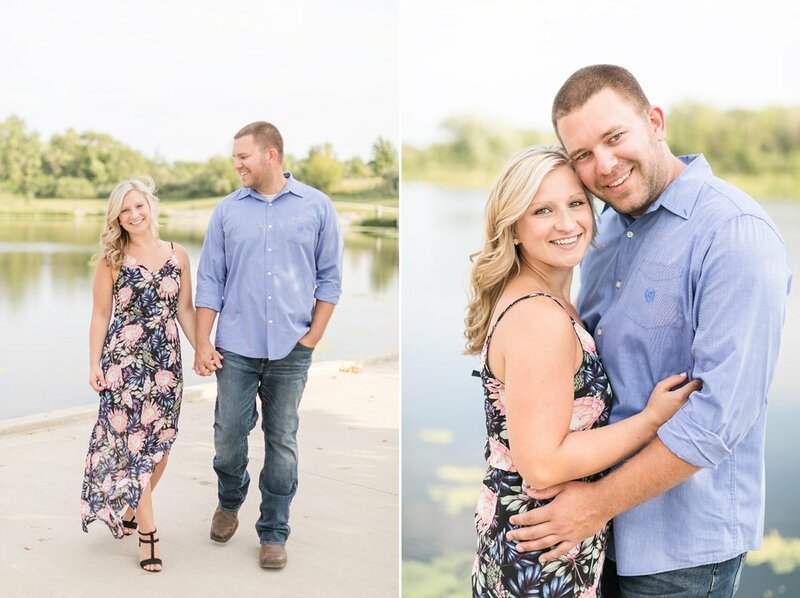 There is a lot more flexibility in the outfits my couples can wear and the locations we can shoot at. I am just going to start this blog post out by saying how obsessed I was with both Marissa and Matt's outfits AND the places we shot! Her dress and heels were gorgeous and the color of Matt's shirt complimented her dress so well! And it's one of my favorite colors! 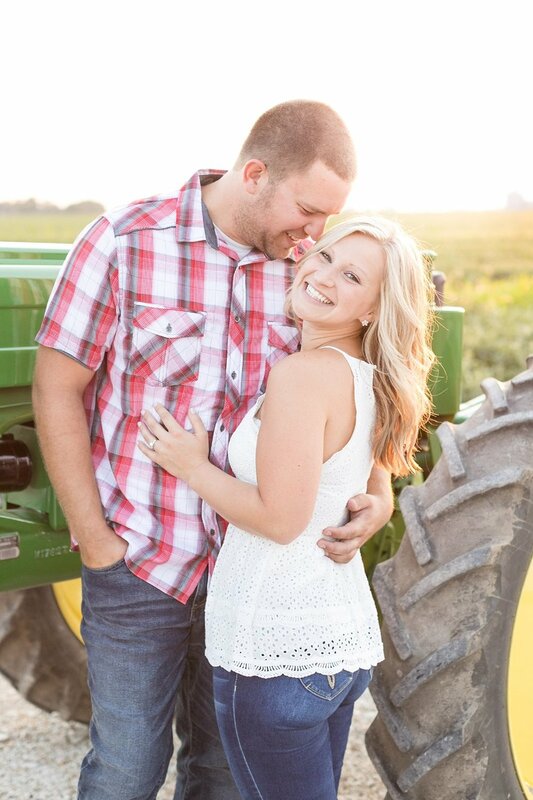 (powder blue/periwinkle-ish) She told me that one of the locations they wanted to shoot at was Matt's parents farm because of how special it would be for him. 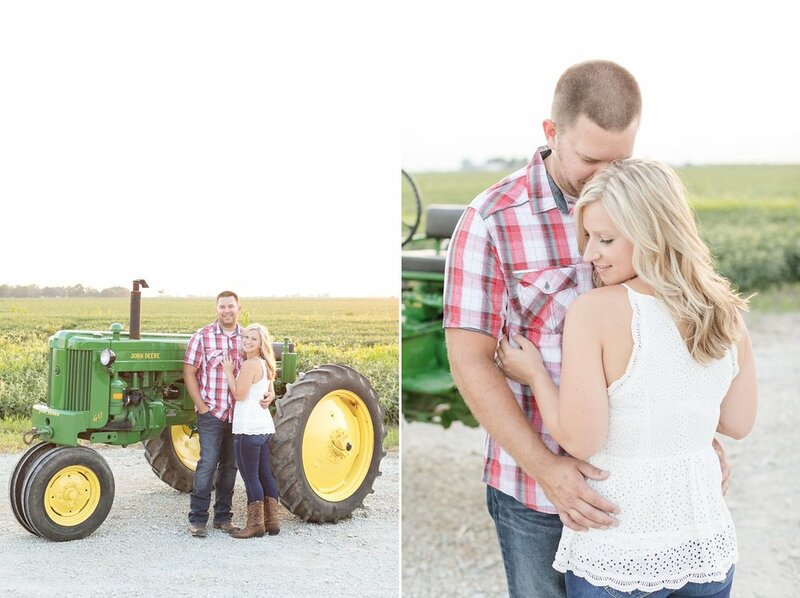 They were envisioning photos with his tractor, by the corn fields, with the sunset and everything! 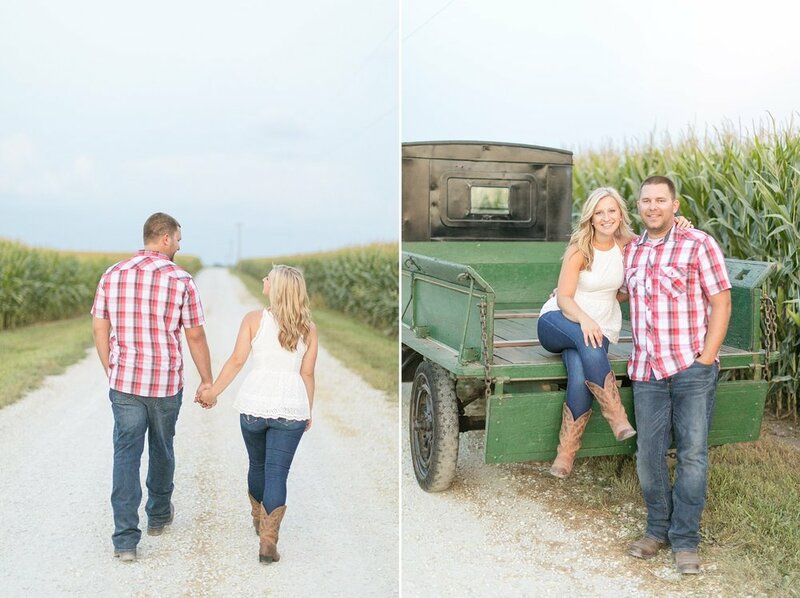 A true "country style" shoot! And because that was Matt's pick of the session, she wanted to pick out a location too. 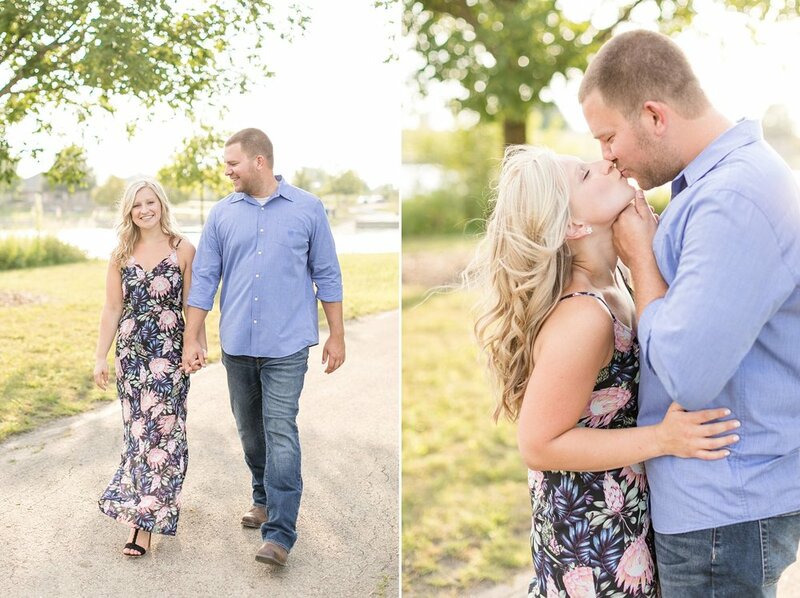 She wanted a more nature-y spot so we started the session at the Monee Reservoir! This was only the 2nd time I've seen these two in person and you would of never knew that if you were with us during their shoot! They showed up with open arms ready for hugs and smiles from ear to ear! I honestly can say that Marissa and Matt are some of the most genuine, down to earth and sweetest people I've ever met! 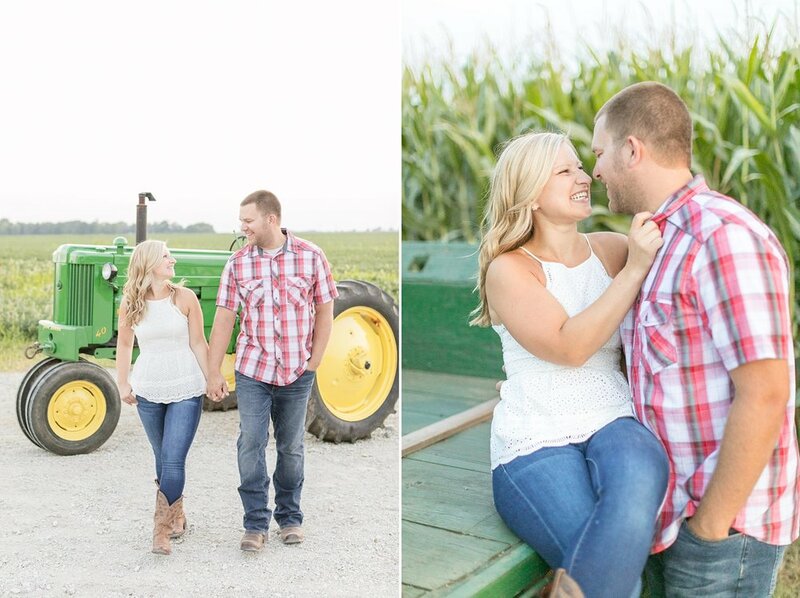 They were so happy and excited to finally take their engagement photos and they came ready for anything! 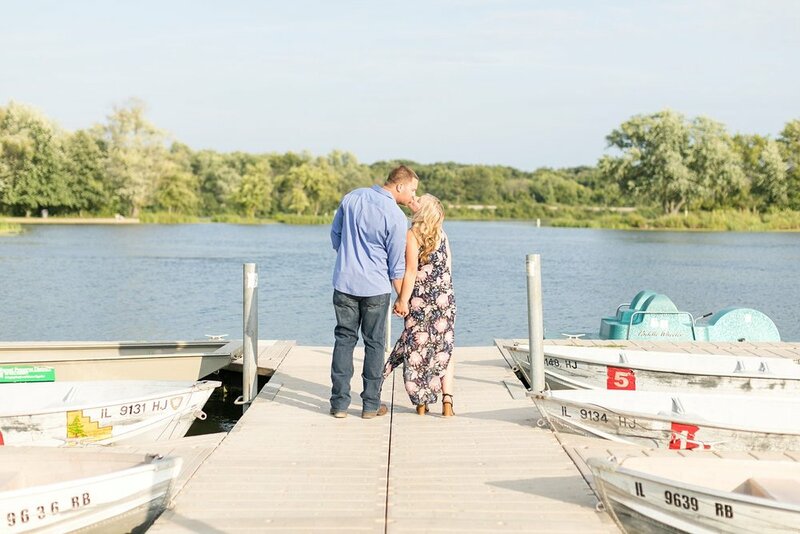 We explored the area, talked about how their wedding plans are going and just hearing Marissa say that everything is going as smooth as it possibly can be and she is LOVING the planning makes me so happy! That is how it's supposed to be! You only get to experience this process once in your life, you should most definitely enjoy it! 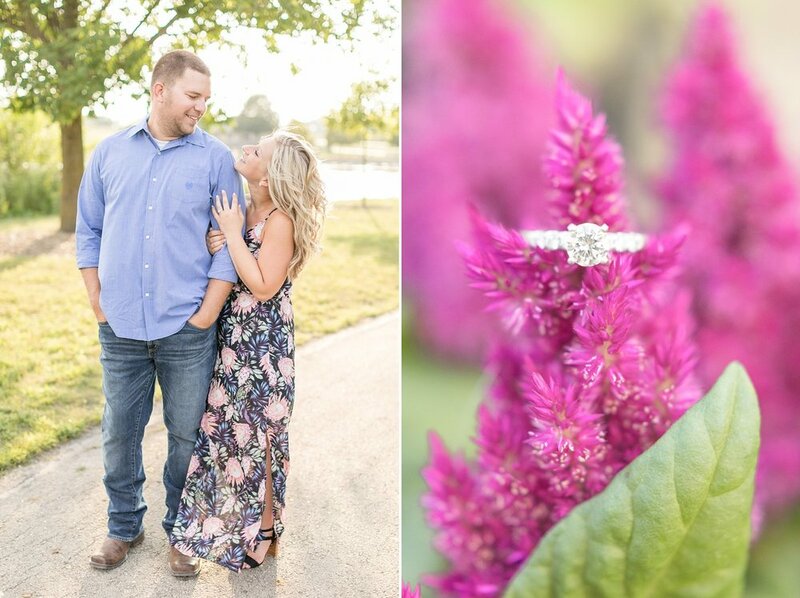 I had such a blast with these two and I'm so excited to share some of my favorites from their engagement session! 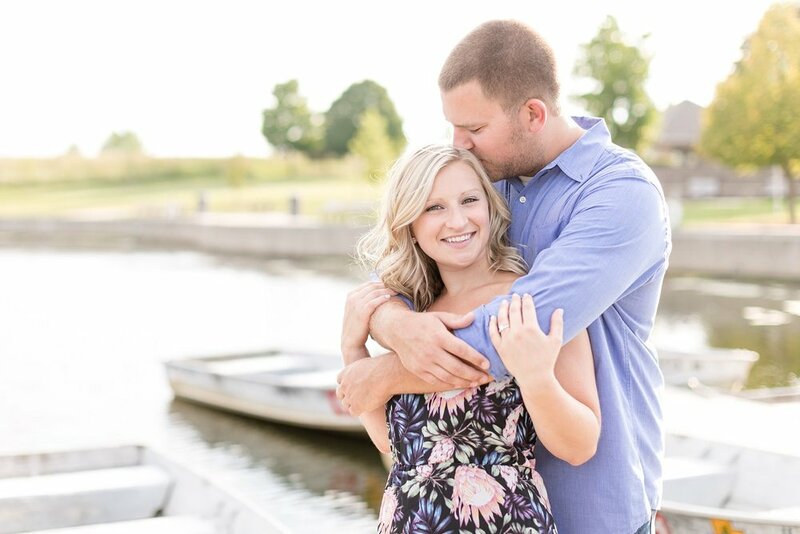 After the Monee Reservoir, we headed to Matt's parents house to finish off their session during sunset! They both went in the house to change and came out with these outfits! I was so excited! Marissa looked SO cute with her cowboy boots on and Matt's flannel was perfect!! One of my FAVORITE photos from their session! Just look at that GLOW! 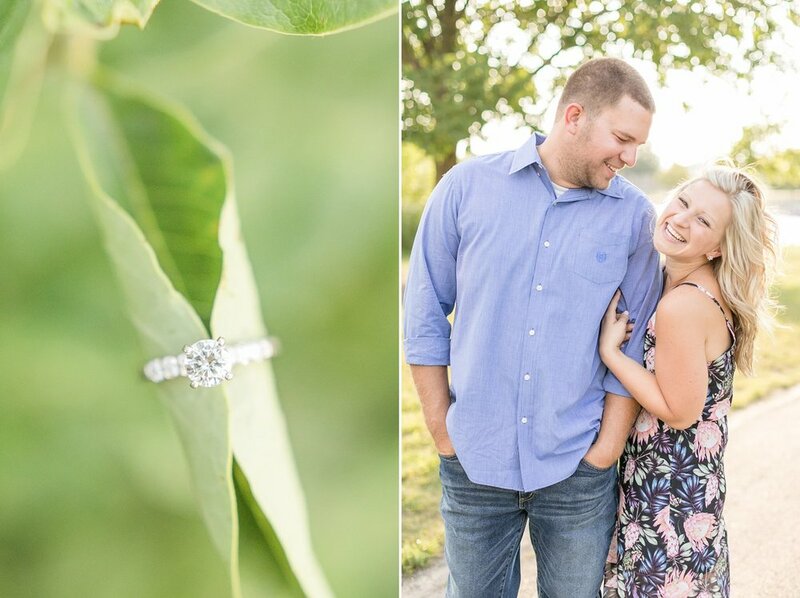 I'm so sad that now we have to wait a whole year until I can get these two in front of my camera again on their wedding day, but I know it's going to be INCREDIBLE so it's worth the wait! 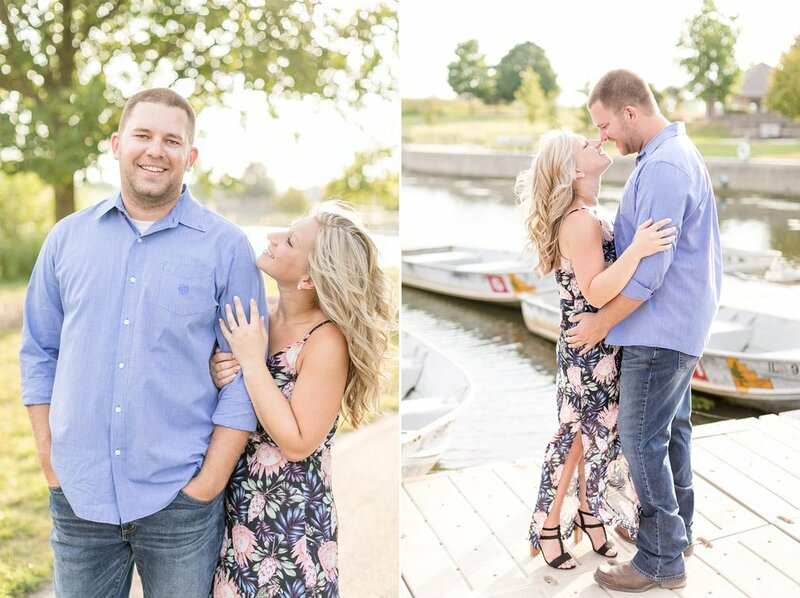 I can't wait to see you two become Mr. & Mrs. 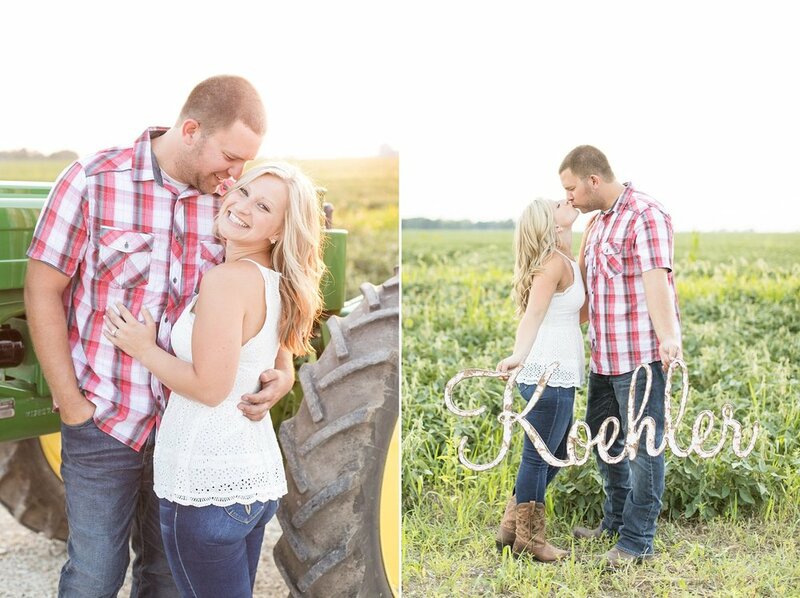 Koehler!! !